gardenboys has no other items for sale. Item delivered in short time! Recommended seller! Perfect replacement carberator at a cheap price!! This is the second one of these I have purchased and they work like a charm. 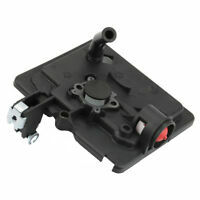 Comes with the gaskets you need and is easy to remove and replace. 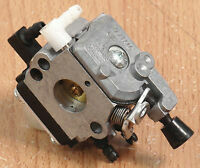 The carb is cheap enough when I have a problem with a carburetor now I just buy a new one and remove and replace the troublesome one. Done in under half an hour. The rubber bolt from the bottom of the carburator is a poor quality. I have to used the rubber from the old carburator. I mean the red o ring rubber. It doesn't seal well. It leaks gas although the bolt is very tight. It works good. Just change the red o ring for new costumers and avoid complains. Thank you. 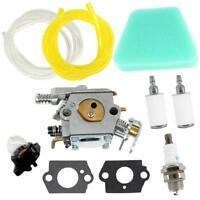 Great cheap (inexpensive) mower carburetor! I had been having trouble with my mower. 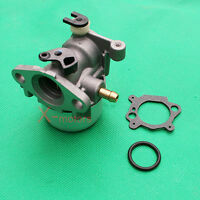 Before getting another one, decided to try this inexpensive carburetor. I also got a section of new fuel line at my local hardware store to change at the same time, suspecting small bits of the line might be clogging the carburetor (common with ethanol fuels). With fresh fuel, a new fuel line, and this carburator, it started right up and I was off mowing! Easy to install, too. Comes with new gaskets, too! worked great, started first pull and ran smooth. only one problem, you will need to re tap the threads on the air filter side. quick and easy if you have a tap. I am not sure if the threads are metric or some weird Chinese thread, but they do not work with stock bolts.